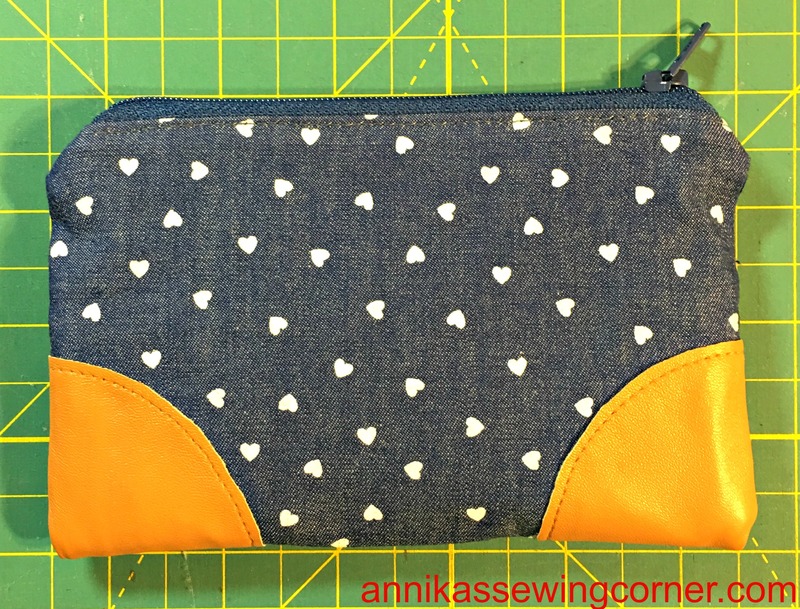 I made a small zipper pouch in denim with faux leather covered corners. It turned out pretty good I think. Remember not to use pins on the faux leather, but I was fine using a normal machine sewing needle and presser foot. Also don’t put the iron straight on the faux leather. 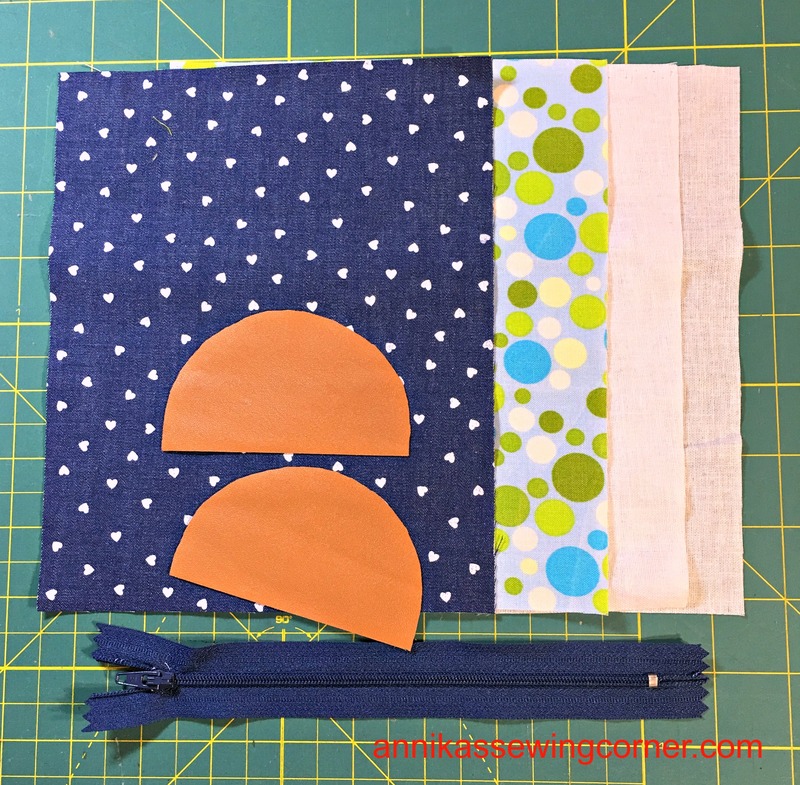 Make a circle that is 3 1/2″ in cardboard and cut it in half. Use it as a template for the corners. 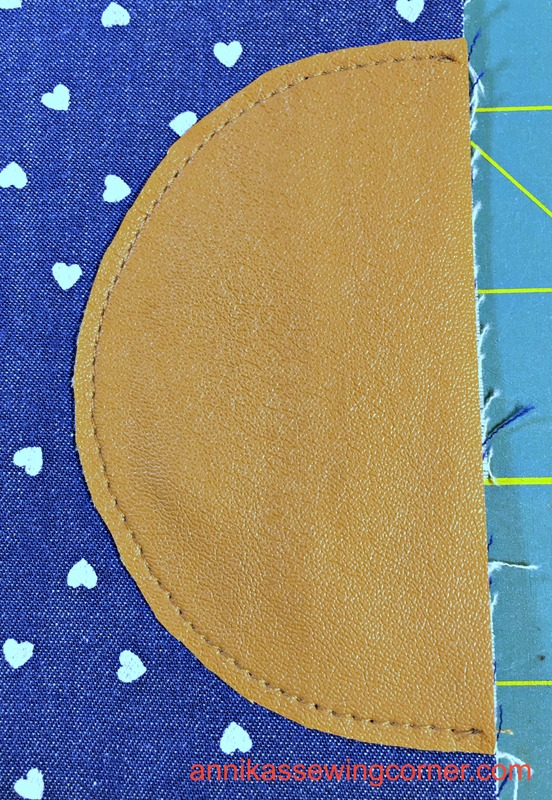 Add 1/4″ seam allowance on the straight edge, cut out two pieces in the faux leather. Iron on the interfacing to the denim and lining pieces. 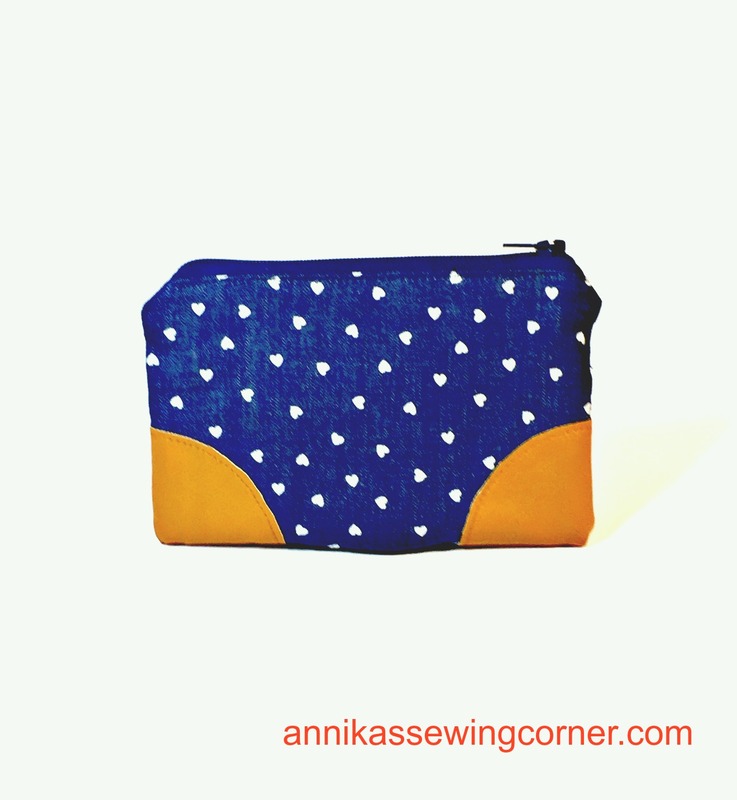 Glue the faux leather pieces centered along the long edges on the denim piece. Stitch close to the edge. 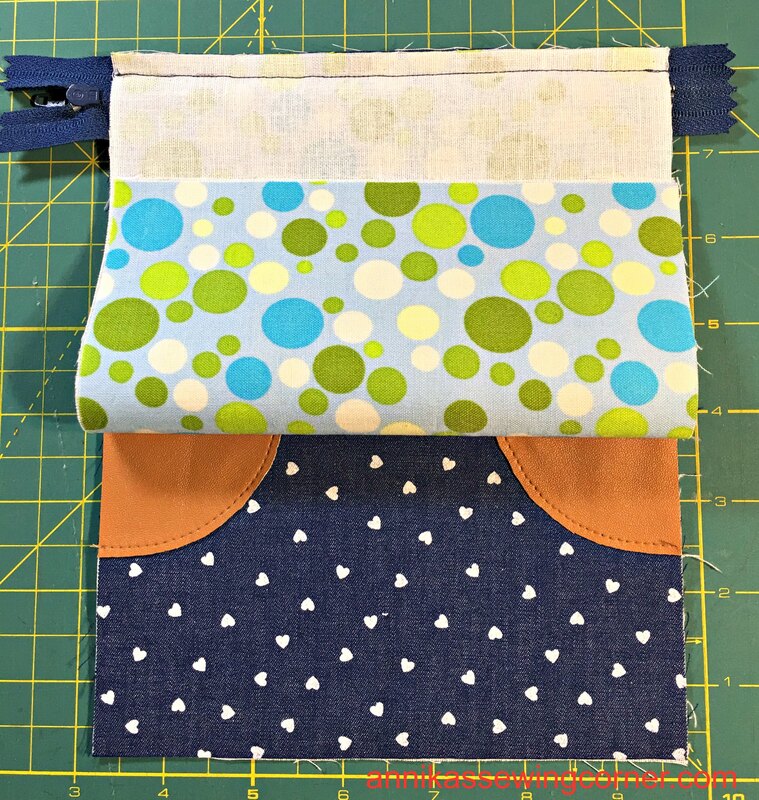 Sandwich the zipper between the denim and lining pieces along a short edge, with the right side of the zipper towards the denim fabric. 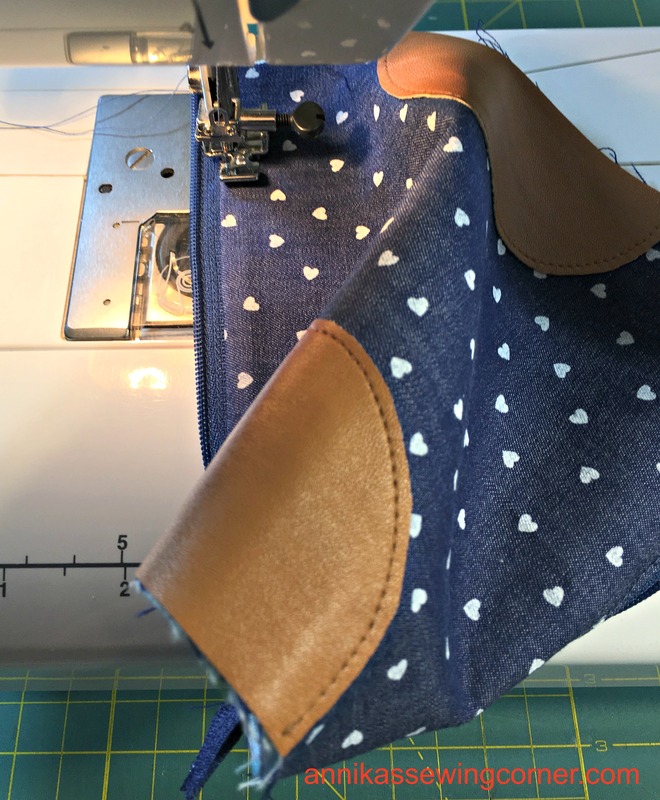 Stitch with a 1/4″ seam allowance using a zipper foot. 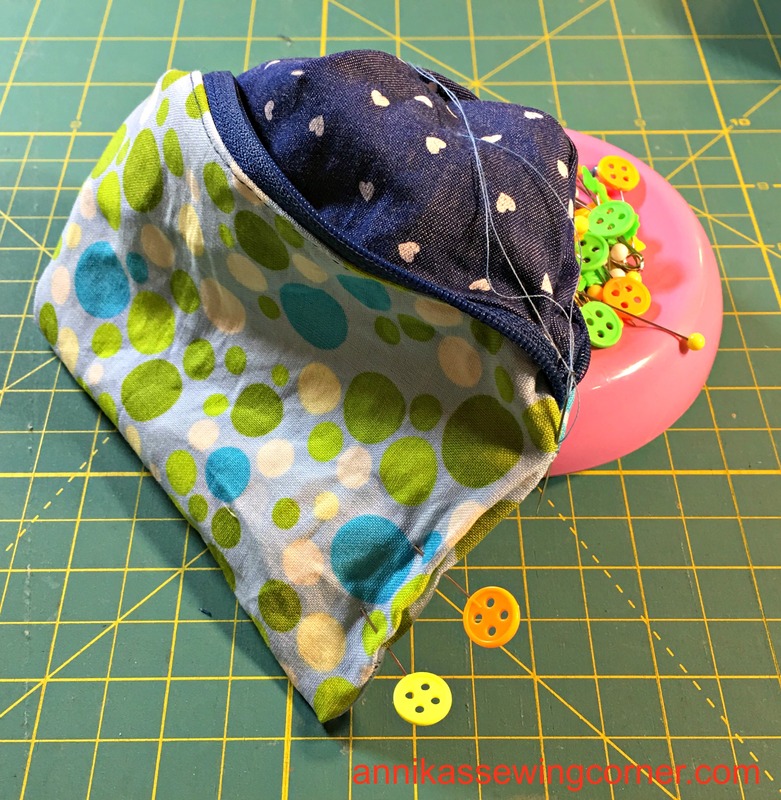 Press the pieces away from the zipper and top stitch close to the edge. 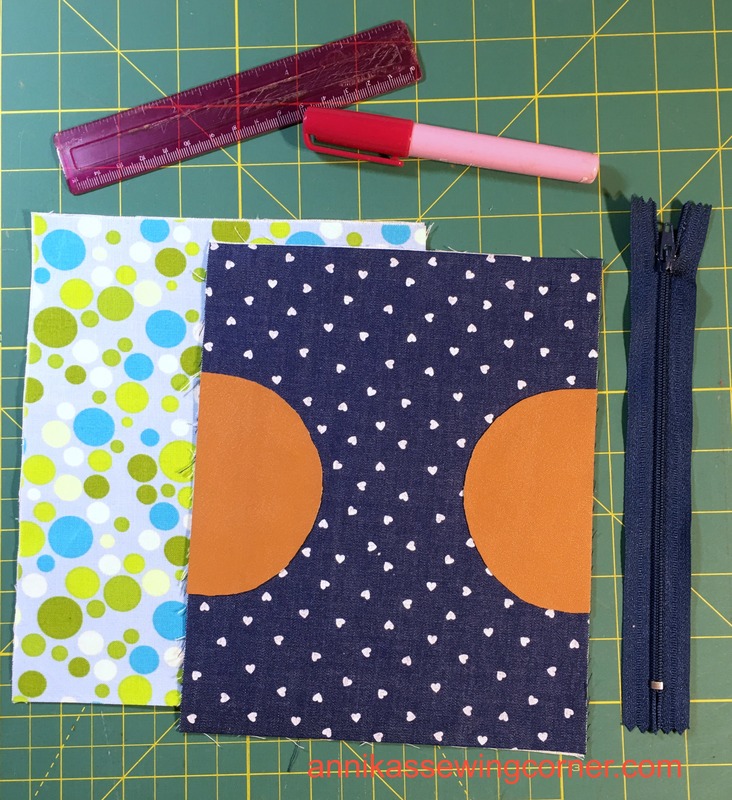 Repeat for the other side of the zipper and short edges of the fabrics. 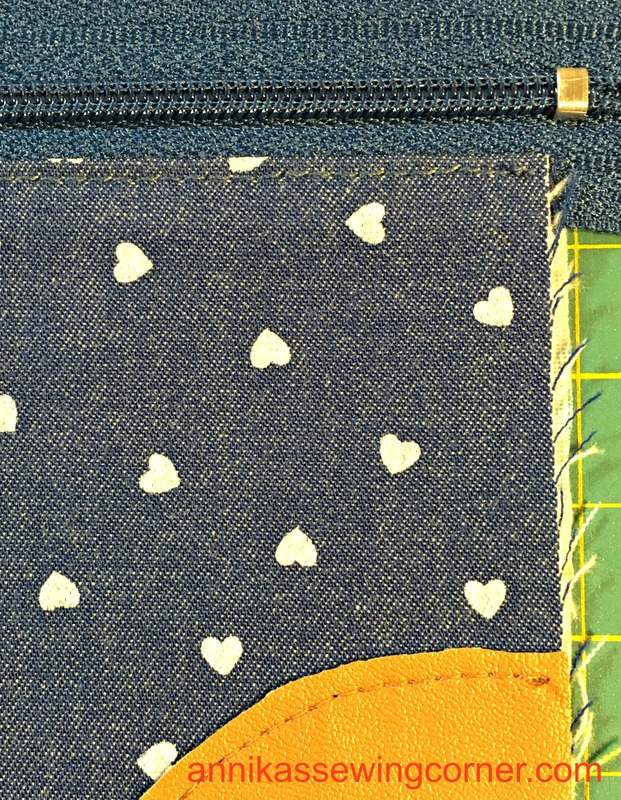 You have to open the zipper to be able to top stitch. Leave the zipper 3/4 opened. 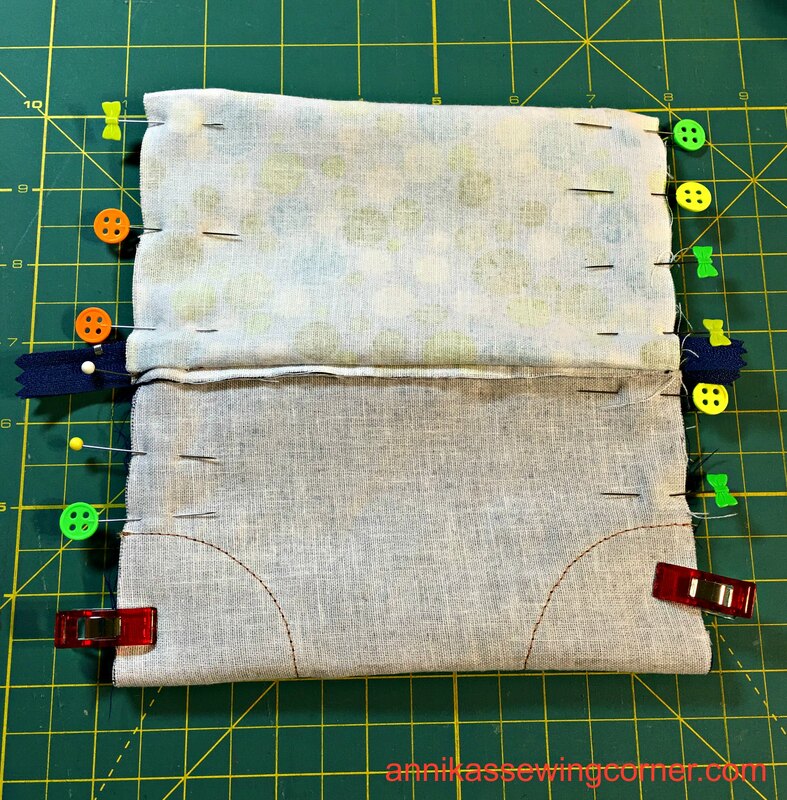 Turn inside out so lining is folded right sides together and denim is folded right sides together with the zipper in the middle. 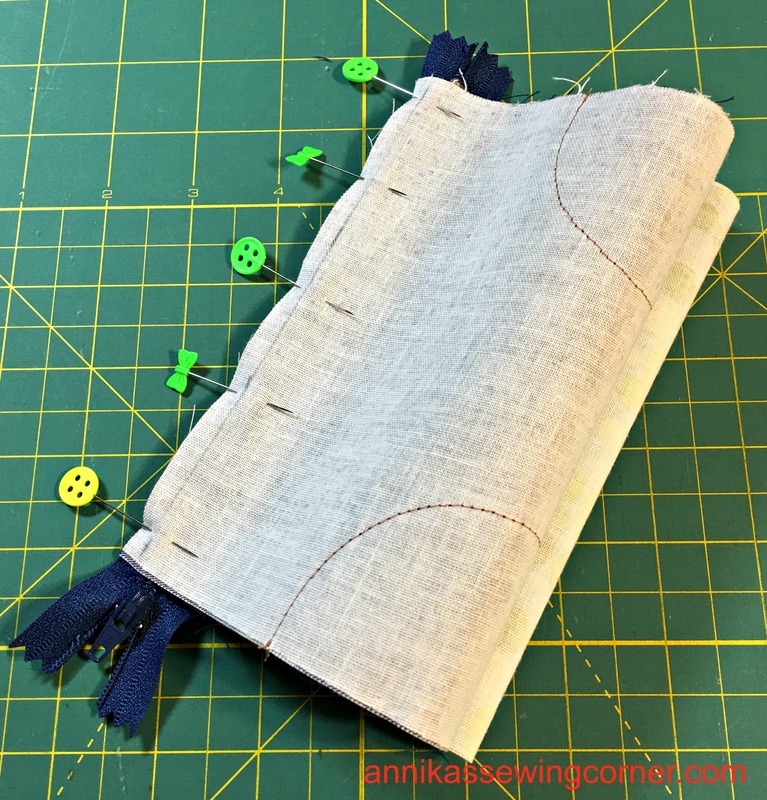 Stitch the raw edges together but leave a 2″ opening in one side of the lining. Remember not to put pins in the faux leather pieces. 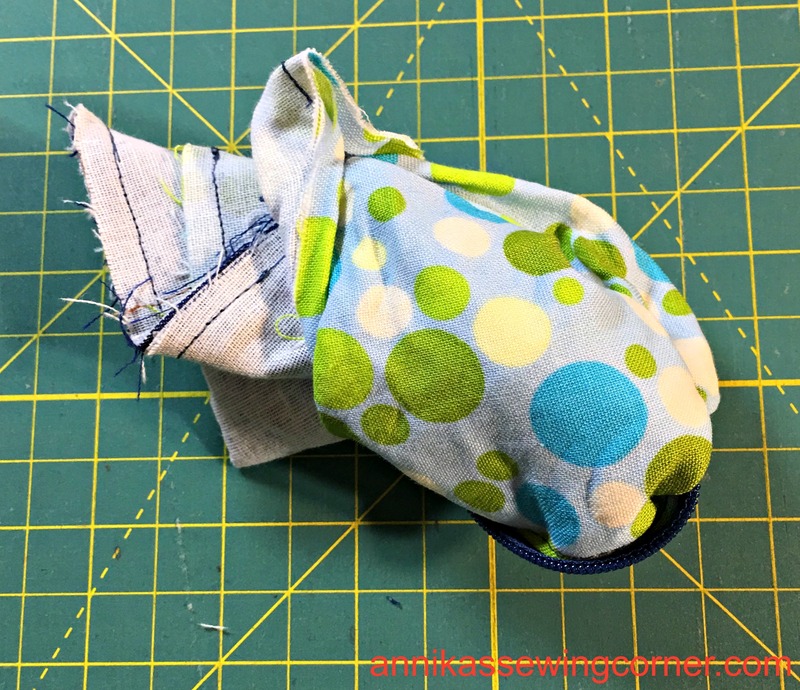 Sew very slowly over the zipper to avoid needle breakage. 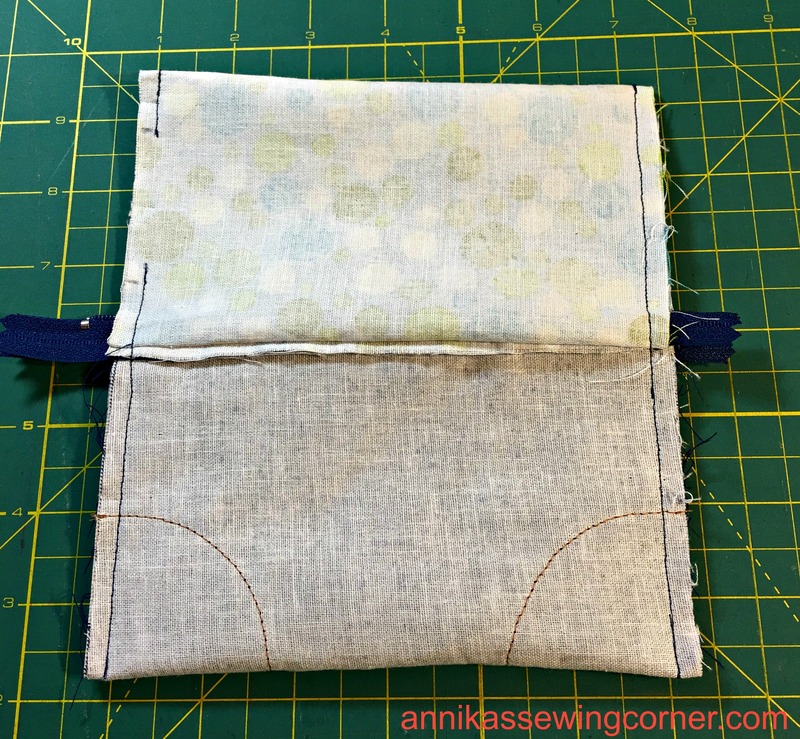 Cut off zipper ends and turn to the right side through the opening in the lining. Close the opening by hand or machine. You can download a PDF version here or from my tutorials page. I shared this post on Facebook a while back and my friends really enjoyed it. Thanks for writing such an insightful article. You’re welcome, thank you for sharing my post.